While wandering around Michigan, take a trip over to Ann Arbor! 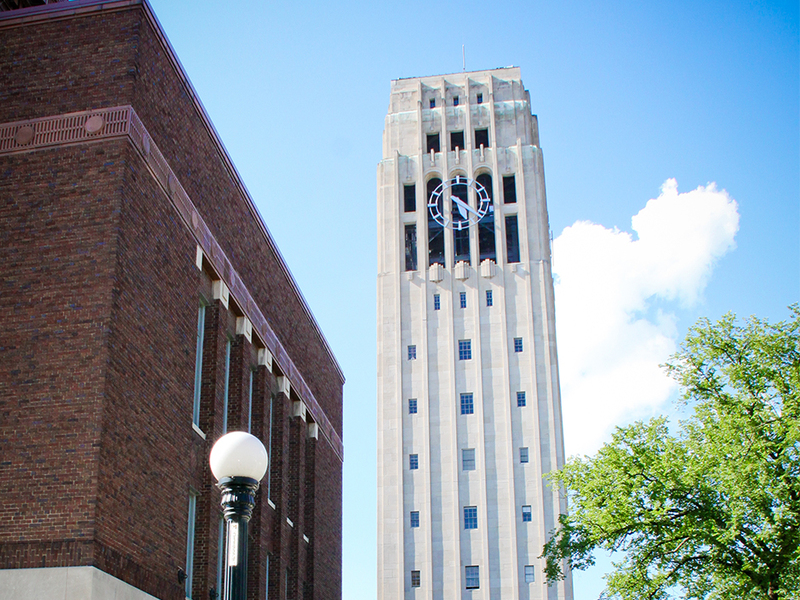 The Burton Memorial Tower is hard to miss on the University of Michigan Campus. Located on the Central Campus, it stands tall. This building houses the Baird Carillon, various classrooms, and faculty offices for members of the Department of Musicology. This building has long been the landmark that is most central to the campus, the hardest to miss. The idea of a campanile clock tower had come about from a writer and the idea was spurred on by the University President at the time, Marion Leroy Burton. In his Commencement address in 1921, he suggested that the new campanile would stand and serve as a memorial to the 236 University of Michigan men who had fought and lost their lives in World War I. The Tower was built in the 1935-1936 school year and it has been a landmark ever since. The Tower was built in Ingalls Mall by Hill Auditorium near the School of Music. Its bells ring once at 8 am to signal the start of the school day and at 6 pm to signal the end of the school day. The clock tower is tall enough to be seen for miles in the center of the campus and it operates as a tribute to the great minds that have come before. The University of Michigan Museum of Art, also known as UMMA, underwent a makeover in 2009 and reopened its doors to 250,000 visitors. And if you are lucky, you could be one of those visitors. 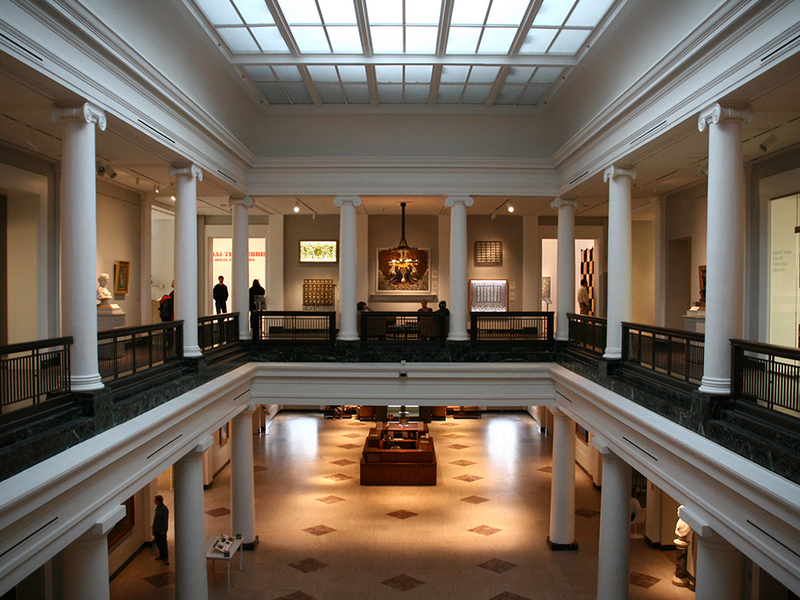 The Museum can display more art from various cultures, eras, and media. UMMA now has classrooms, an auditorium, and gathering spaces for the community to discuss, observe and admire the art that has made its home in Ann Arbor. Make your way over to the museum and spend your time soaking in the art. Nickels Arcade is one of the many unique things that Ann Arbor has to offer. 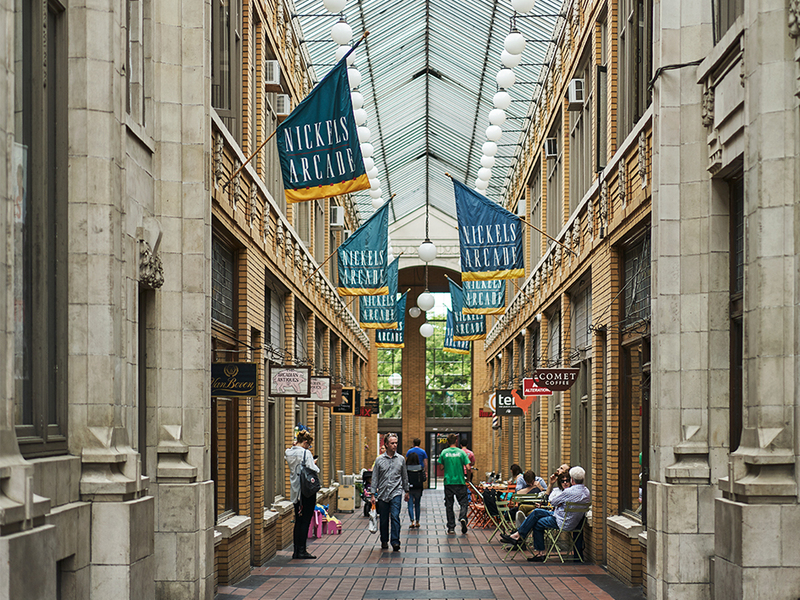 Nickels Arcade is a covered shopping area that houses boutiques, antique shops, specialty shops, and more. Even though your shopping experience is mostly indoors, store still have decorative storefronts and doors. This building, notable enough, has been listed in the National Register of Historic Places in 1987. The arcade, 261-feet long, links State Street to Maynard Street. Nickels Arcade is the only remaining examples of a free standing commercial arcade building. Walking into this building feels like traveling back in time. The tiles on the floor are red and black, the store fronts are generally two stories high and some even have mezzanine levels, and the sun shines through the skylight in metal-framed wire-glass panels above. This will surely be one of your more interesting shopping experiences. This wonderful, colorful place certainly draws the eye. 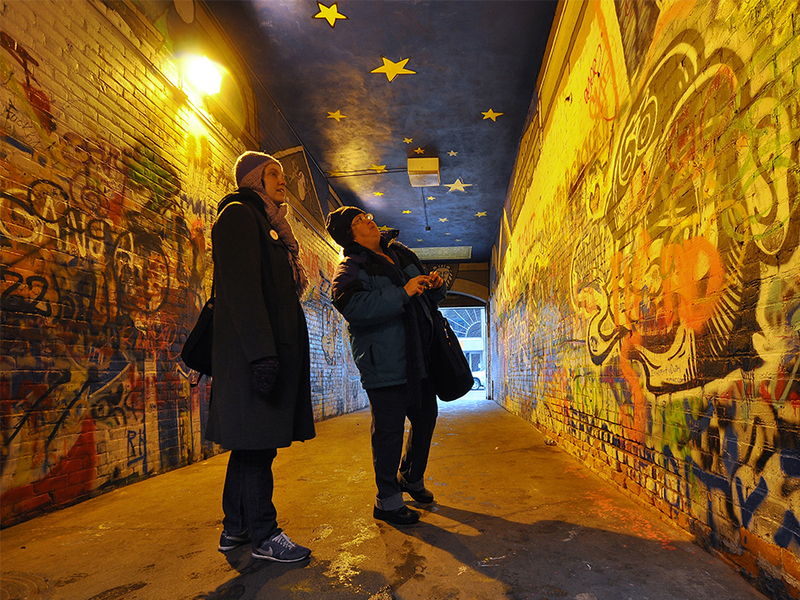 Stroll through Graffiti Alley and take in the diverse art culture of Ann Arbor. It is alive with culture. The walls are covered in color, in writing, in pictures, and drawings. The vibrant nature of this place draws in those who are artsy, photographers, writers, musicians, and dancers. This place, although beautiful, is still an alley meaning that you can’t escape from the smell but… it’s worth it. Just take a walk on through.